Originally established in 1977 as Drs. 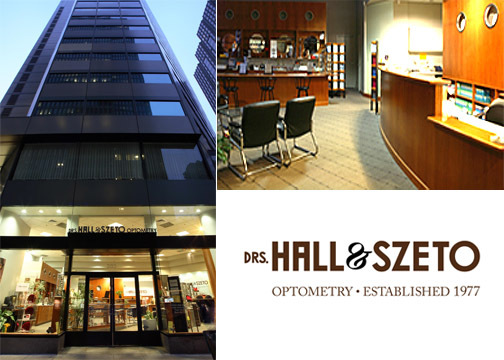 Hall & Chu, we are now San Francisco's largest private practice optometry office. Our patients are our top priority. We use state of the art technology to deliver the most comprehensive eye examination available. In addition to prescribing glasses and contact lenses, our doctors can diagnose and treat many eye diseases. We pay special attention to the ocular effects of diabetes, high blood pressure, high cholesterol, thyroid disease, and cancer. We also provide consultations for LASIK vision correction. Our optical center is continually updated to feature a wide selection of over 1300 frames. Our in-house optical lab provides fast and accurate optical service. We also have many contact lenses in stock for immediate refills. Come in and experience a 35 year tradition of patient care and customer service.